MyGlamm online marketplace, under the aegis of Sanghvi Brands, has divided its city-wise presence into zones and offering each zone’s franchisees to manage 15 artists. 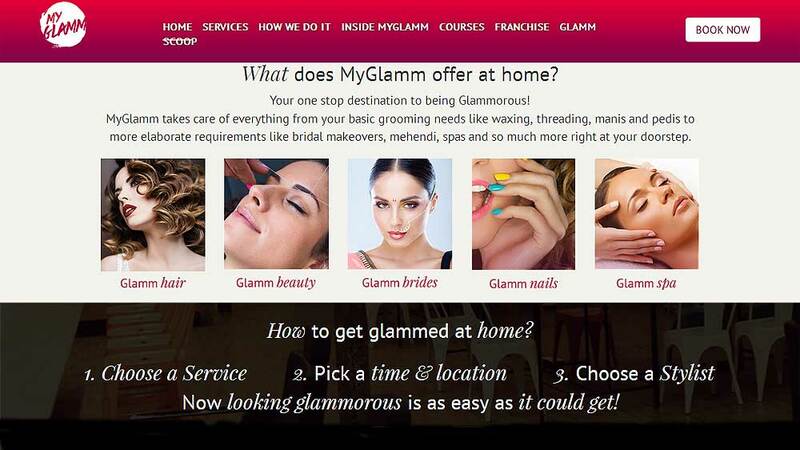 In a move to create sensation in online beauty marketplace, Sanghvi Brands led MyGlamm.com has launched a program that allows budding entrepreneurs or Indian homemakers to become a part of its franchise model. “No e-commerce company has done a model like this before. This model takes care of the typical pitfalls seen in beauty franchising (which is maintaining a control over revenues and maintaining a control over quality) and is a win-win for all- customers, franchisees and the brand,” opined Darpan Sanghvi, Founder & CEO, MyGlamm.com. In a one-of-its-kind model, the eCommerce brand has divided its target cities into multiple zones like Delhi region is broken into 50 zones, Pune into 20 zones and Indore into 8 zones. Now, each zone will have one MyGlamm franchise owner, who will manage 15 artists. All the artists (hair/make-up/skin care) will be trained at MyGlamm and would be given to the Franchisees, to start operating in their respective zones and providing at-home salon services through MyGlamm App. The revenues earned by all the zones would further split in 80-20 ratio between the Franchisee (80 per cent) and MyGlamm (20 per cent). Also, since all the bookings will be done through MyGlamm App, the brand will have complete control over all the bookings and revenues in a bid to ensure zero leakage. Furthermore, MyGlamm will open a training academy in each of the cities it will extend its operations. The academies will offer certified training to each artist, who would be working for the MyGlamm franchisees, to ensure seamless delivery of quality service at the consumer’s doorstep. Consequently, the brand will keep a close watch over quality maintenance of the franchise model. MyGlamm will continue to invest in brand building, ATL, PR while the Franchisee will focus on word of mouth marketing through BTL activities in his neighbourhood. “This way we will ensure that we are able to reach out to every part of every city comprehensively. Also this does not put any major marketing cost burden on the Franchisee,” noted Sanghvi. To become a MyGlamm franchisee, one has to have an investment of Rs 15lakh. After that, the revenues generated by each franchise zones would split between the franchisee and MyGlamm at 80:20 ratio. Significantly, each Franchisee is bound to earn about Rs8 lakh to Rs10 lakh revenue per month with a margin of about 25 per cent. Franchisee shall have complete exclusivity in his zone. As there are no fixed operating costs, franchisee’s have a payback period of less than a year and an ROI in excess of 140 per cent over a five year period. MyGlamm at-home beauty marketplace offers bespoke hair, nail, spa and a range of other services. It’s one of the well-funded tech enabled online beauty marketplaces operating in the country at present. What's Dr. Batra's big targets for current fiscal..